This darling panel and three coordinating fabrics arrived on Friday. 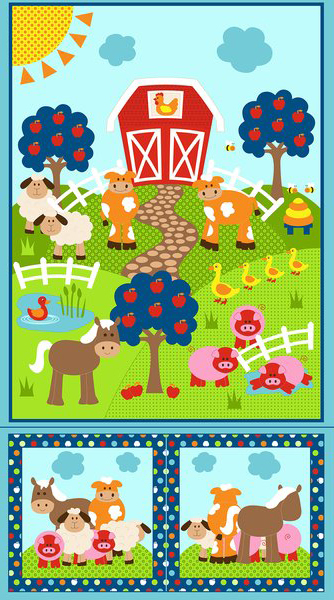 Use the top of the panel to make a baby quilt (add borders to make it toddler size) and the bottom portion to make a matching pillow. Sine Skaggs loves making small wool projects and has agreed to teach a class and share the techniques she’s acquired over many years of doing this relaxing hand work. We have a nice variety of kits from which to choose available for the class and more arriving later this week. Shown here is one of them. These small projects are perfect to take along for your holiday travels and they also make wonderful gifts. We will be taking up to ten students in this class since sewing machines are not required and we’ll have more space in the classroom as a result. Sign up today. Join The Strippers and make a Jelly Roll Quilt from the very popular book Jelly Roll Jambalaya on the second Friday of every other month. We will work our way through all nine quilts in the book, but you don’t have to attend every session. Pick and choose or make them all. This great book also includes illustrated Le Petite lessons and helpful tips related to the projects. 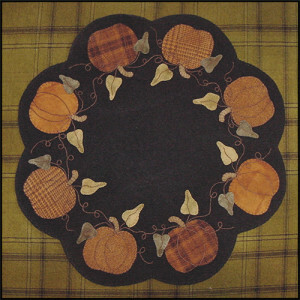 In October we’ll make the second quilt in the book. 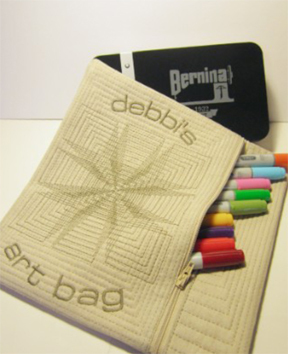 Guest instructor Patti Curtis has made no fewer than a dozen of these great totes and has many tips, tricks, and shortcuts to share. 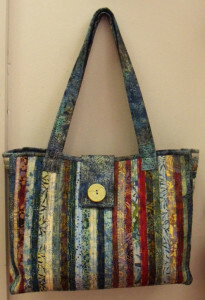 The Bali Squared Bag can be made with a jelly roll, yardage, or even from long skinny scraps. A great bag for everyday use or as a travel tote. 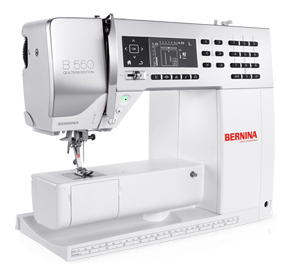 We've decided to to outfit our classroom exclusively with BERNINA 350 Patchwork Editions. They are on order and should arrive this week. This means we have TWO really nice, very gently used machines available. 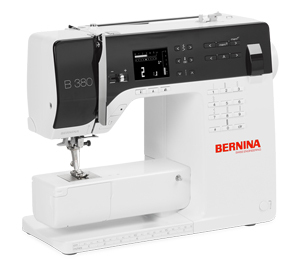 One is a B550 Quilters Edition and the other is a B380. These are both priced below what we are allowed to advertise electronically, so come by the shop to check them out. Interested in a career change? We have an opening that needs to be filled before the end of the year when Emily takes off for college. The job involves providing superior service to customers in both the fabric/notions and sewing machine departments. The ideal candidate will: be happy, energetic, have a positive attitude, and enjoy people; learn quickly and have the ability to multi-task; be organized, self-directed, possess a strong work ethic, and have good computer skills; be confident and have the ability to listen well and communicate clearly; be respectful and committed to the success of our business; have basic math and color skills. Retail, sales, and/or sewing experience is helpful but not required. We will train the right person. This position is full-time (35-40 hours per week) including some Saturdays and occasional evenings. Benefits include paid time off, a bonus program, employee discounts, and a pleasant work environment. If you meet these qualifications and are interested in being considered for this position, please bring your resume and complete an application at 40 West Main Street in Cortez. We are open Monday-Saturday from 9 a.m. until 6 p.m. No phone calls, please. If you have applied in the past we have your resume on file so there is no need to re-apply. Thanks! In place of Tip of the Week once a month or so we'll be conducting a quick survey about something related to sewing/quilting. The results will be published in the Quiltzette the following week. This month the survey is about binding. Do you hand or machine bind? If you machine bind, what technique do you use? Answer the quick five question survey here and check the newsletter next week to find out what your fellow quilters are doing. Thanks!